It’s the Christmas season, and it’s also the season of eating too much food. I love this time of year, it becomes natural to eat loads and not feel guilty. But only until the new year rolls in and those resolutions come out. “I will go to the gym every day and lose weight” – this is always on someone’s resolution list. But what if all that food you were indulging in was healthy-ish would that make you feel slightly better about overeating at Christmas? Well this is my gift to you this year, a few of the best vegan food and drink you could have this Christmas, without the guilt! 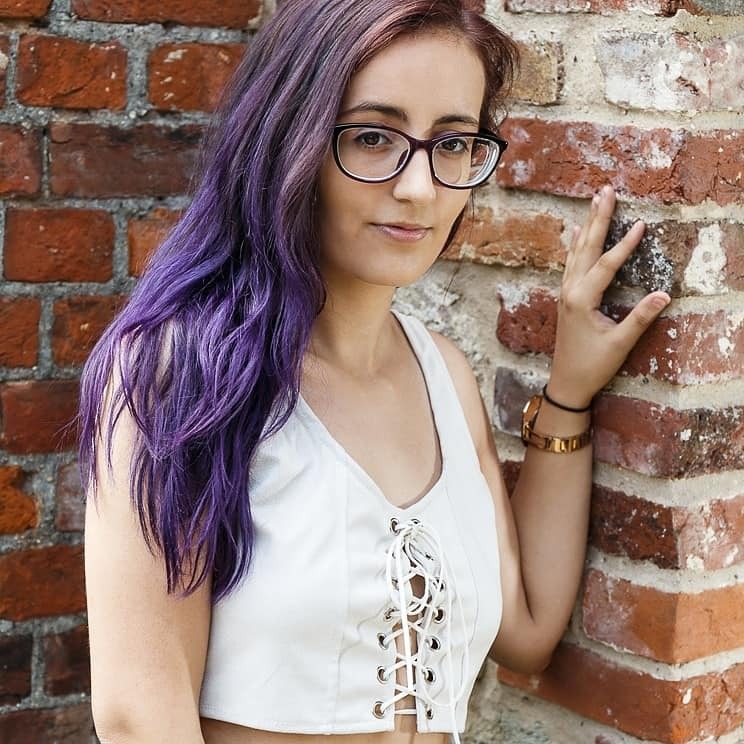 Take a look below. 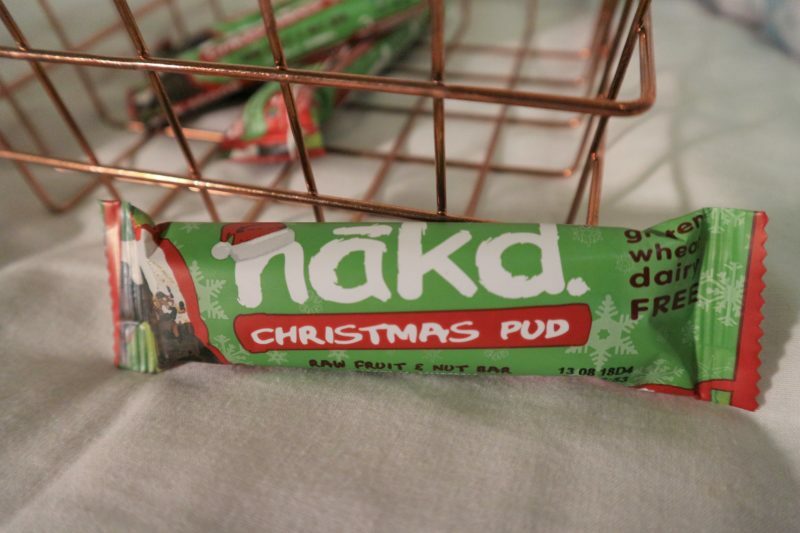 First up on the list we have this little beauty, the Nakd Christmas Pud raw fruit and nut bar. These bars are completely raw; gluten, wheat, and dairy free 100% vegan and delicious. I am going to be honest here, I never actually liked Christmas pudding but you put Christmas Pudding into bar form, and I could eat hundreds of them. With one bite of these – you get a Christmas explosion in your mouth, a fantastic way to satisfy that festive sweet tooth without giving you any guilt. I have been indulging in these bars for the past few weeks. Now these are craft beers; vegan beer is something that is difficult to find so when Bellfield Brewery contacted me I got excited to try some vegan craft beers. 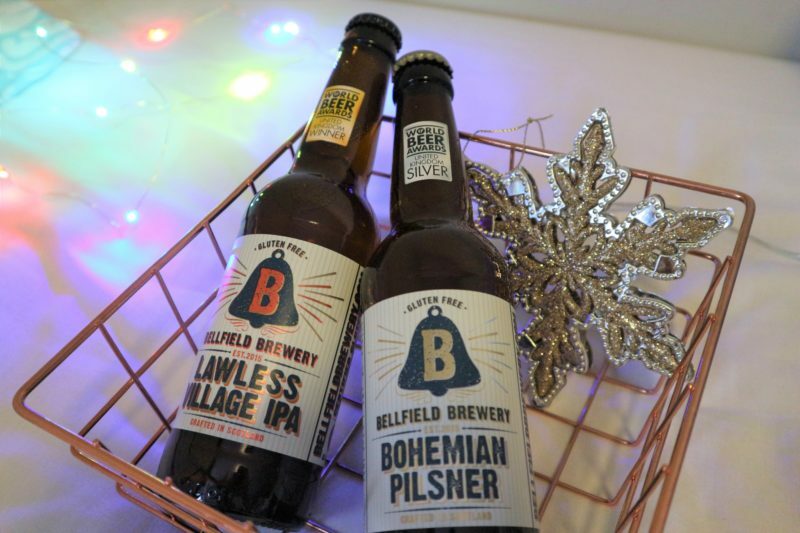 Bellfield Brewery is a new family-run brewery crafting gluten free beer that do taste amazing, this company is the UK’s first gluten free brewery. How cool! The Lawless Village IPA craft beer is a copper coloured and aromatic beer brewed as traditional American IPA made with pale and crystal malts as well as Centennial American hops for that modern citrusy finish. Next the Bohemian Pilsner craft beer is a classic Czech pale pilsner with a light body and bitterness with subtle floral tones giving you a refreshing finish. These beers are 1.5 units of alcohol per 330ml bottle – I have enjoyed drinking these beers, they are very aromatic. As they are alcoholic please do follow your country’s legal requirements before purchasing these (must be 18 years old within the UK to purchase alcohol.) And drink responsibly this Christmas. You can get your case of 12 bottles for £29.40 here. Chocolate is a must at Christmas! And these vegan chocolates are perfect! Goupie is another family-run company based within the UK offering vegan, and gluten free chocolate triangles. Many of the chocolates have nuts added to the ingredients so keep that in mind if you do go ahead and purchase some. The Christmas inspired ones ‘Boozy Christmas’ and ‘Taste of Christmas’ really capture the spirit of Christmas in taste form. Boozy Christmas is, if you can’t guess already infused with Brandy and Cider along with warm spices (Ginger, and Clove) dried fruits and nuts. Basically just Christmas in chocolate form, haha. They are so delicious , especially with a coffee whilst doing some work or simply watching Christmas movies. Next we have the minis ‘A Taste of Christmas’ I personally think they taste similar to the Boozy Christmas however without the booze. These mini chocolates were spiced with allspice, cinnamon and ginger – so slightly different in spices but still of course Christmassy. 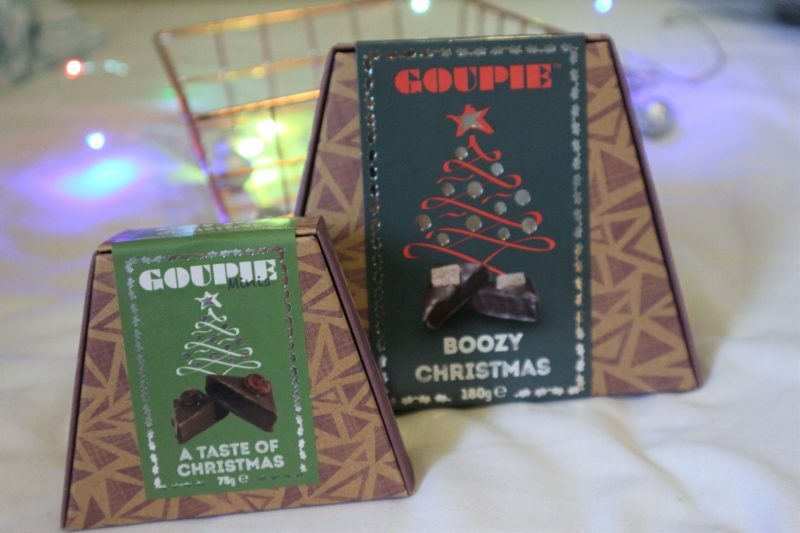 I definitely recommend you get these to enjoy on Christmas Day – goupie.co.uk Boozy Christmas is £4.75 and the Taste of Christmas is £2.50 completely affordable as well. Stocking filler sorted, am I right? I purchased this at a Vegan Festival recently. 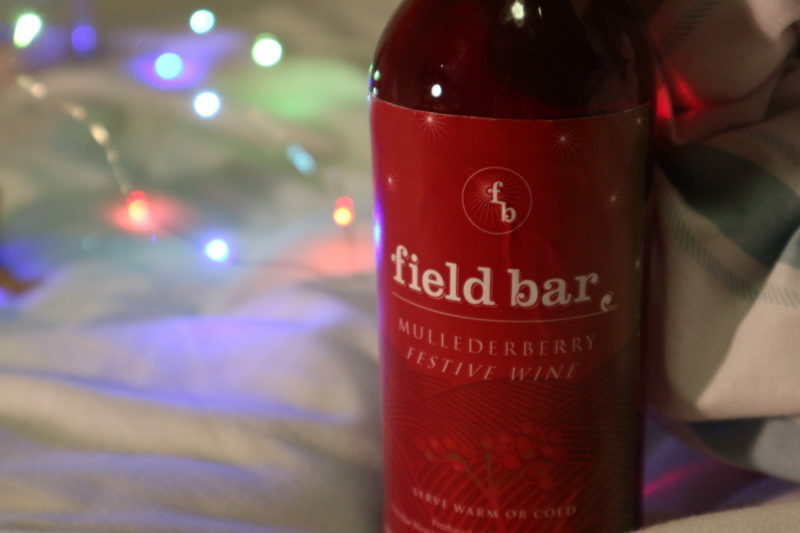 I figured it’s Mulled Wine so why not include it in my festive treats for vegans this Christmas. It’s only ever at Christmas time I would drink wine; but only wine infused with warm spices. I just had to get myself this bottle for £4 – you cannot go wrong. This chocolate is pure, raw and handcrafted to perfection. 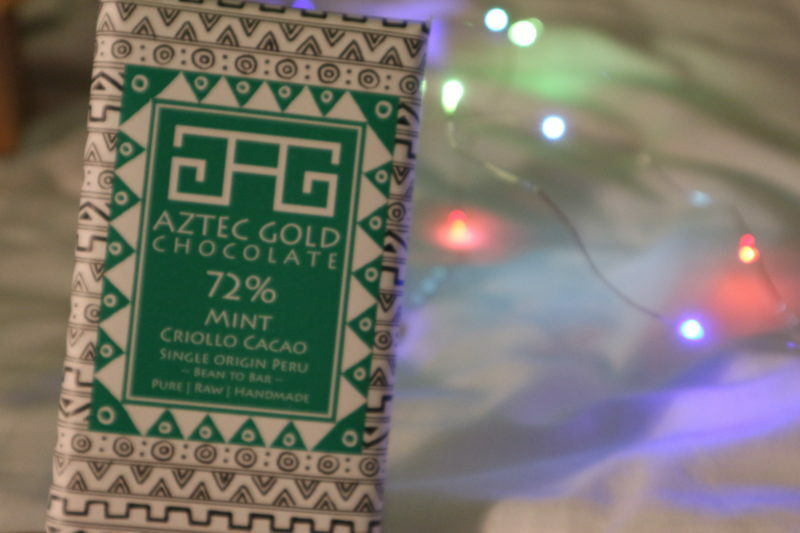 Aztec Gold Chocolate uses beans from Peru to create a vegan and organic chocolate bar. There is a whole range of flavours in the collection; I however only purchased the mint flavoured one as it was my favourite bar there and cost me £6.75. However rather expensive it is so worth it as you do get a completely natural and eco-friendly bar (no palm oil used). If you would like to purchase your bar this year head over to their website .